Another British military health worker in Sierra Leone has today been flown out of the country, suspected of contracting the Ebola virus. This is the second case in three days. 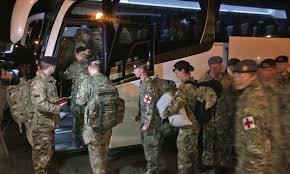 A British military nurse was also flown to London last Saturday, after report of being pricked by a surgical needle, whilst treating an Ebola patient at the Kerry Town Treatment centre in Freetown. The names of both officers have not been released, but it is understood that neither of the patients are currently showing signs of the virus. But they are both now admitted at the London Royal Free Hospital, for observation. Although numbers of new Ebola cases have declined markedly across Sierra Leone, especially in the south of the country in the last few weeks, however, there are persistent pockets of resistance, along what is now known as the Freetown-Northern Ebola corridor. In particular, there are serious concerns about the inability to stem the virus in the Bombali district – home of president Koroma; Kono district – home of the vice president Sam Sumana; and Port Loko district – the home of the country’s ‘infamous’ minister of information – Alhaji Alpha Kanu. There are fears the continuing spread of the virus in those three strategic districts, poses serious threat of a resurgence to the rest of the country, which scientists believe could be much more devastating for hundreds of thousands who have now returned to business as usual, following the relaxation of the tight restriction of people movement by the president. Figures released recently by the country’s National Ebola Response Centre (NERC), have added to the controversy surrounding the credibility of the government in managing the Ebola crisis. And there is now plenty of statistical evidence corroborating the allegation that NERC officials are seriously under-reporting and manipulating the Ebola figures, in the president’s haste to declare the country Ebola free – on the 27th of April, 2015, to coincide with the celebration of the country’s 54th year of independence from British colonial rule. 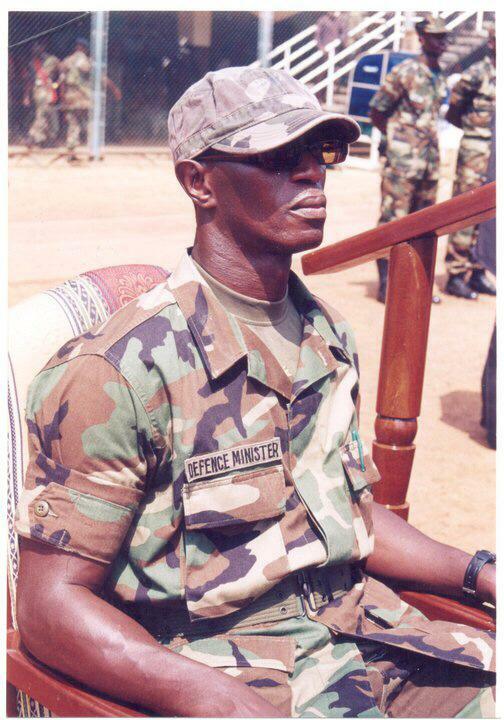 (Photo: Head of NERC – Major Palo Conteh). But critics say that this strategy is not only dangerous, but reckless, and could lead to another epidemic – if not worse. With today’s news of a second British military health worker suspected of contracting the virus in Sierra Leone in a space of three days, and the third case in less than two months, questions are being asked as to whether frontline health workers’ risks of exposure to the virus have increased. 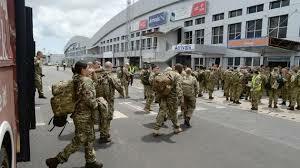 Mark Francois – the British Minister for the Armed Forces confirmed that the airlifting of the British military health worker, “is entirely a precautionary measure and our priority is the well-being of the individual involved. There are also questions now, as to whether Sierra Leonean health workers have learnt a bitter lesson from experience, and are therefore now far better at managing the risks, especially following the deaths of more than 30% of the country’s top 30 doctors and over 200 nurses in the last eight months. 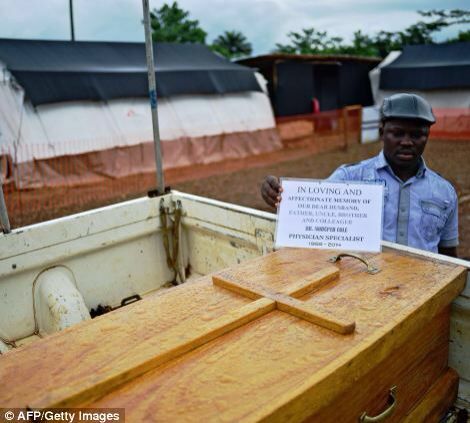 It is now more than a month since the death of Dr. Willoughby – a senior Sierra Leonean physician, after contracting the virus in December. Prior to his death, junior doctors and media campaigners had lobbied and protested long and hard for changes in work practices, improved working conditions, better protective wear, and reduced patient-doctor ratio. And it seems, with the implementation of some of these changes and a greater awareness among doctors and health workers of the importance of taking responsibility for personal safety as well as the safety of others, there has been a marked decline in the number and frequency of indigenous health care staff contracting the virus. But many would argue that this welcomed reduction is due to the overall impact of the increased number of overseas health care staff now sharing the workload with their Sierra Leonean counterparts, as well as the increased number of holding and treatment beds across the country. Whilst the Koroma government may be aiming for a zero reported new cases before the 27th of April 2015, by any means necessary – including the manipulation of the Ebola statistics, in Liberia today over 30,000 volunteers are lining up to take part in the trialing of a possible vaccine for Ebola. GSK – the producers of the prototype vaccine, have received approval from the World Health Organisation to speed up the trial process and by-passed some of the bureaucratic and usually stringent clinical procedures to find a cure for Ebola. It is not certain whether the world may now be at the cusp of a medical breakthrough in neighbouring Liberia with these trials, but what is clear is that without a cost effective vaccine, the government of Sierra Leone may just as well be advised to stop massaging Ebola away by ‘cooking the figures’. 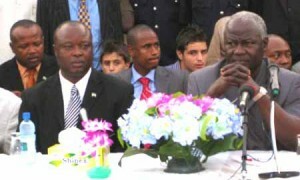 The Koroma government must instead focus attention on reducing infection and transmission, especially in Bombali, Kono, and Port Loko – the three strategic districts that are homes to the president, the vice president, and the minister of information, respectively; and of course the capital Freetown. If the three top leaders in Sierra Leone – president Koroma, vice president Sumana, and information minister Alpha Kanu, cannot succeed in driving Ebola out of their respective districts – Bombali, Kono, Port Loko, then what chance of success in managing the crisis in the country? 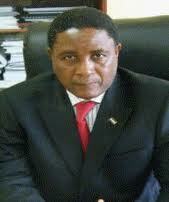 Will they be capable of steering the country into full recovery and prosperity, after Ebola? Highly unlikely.